The Resource Geoscience theme focuses on geological, geophysical and hydrogeological studies related to advancements in effective exploration and development of mineral, energy and water resources. Research conducted under this theme provides new models and insights, innovative applications and experimental techniques, and responsible practices for sustaining national and international economic prosperity. Researchers in this theme actively pursue collaborative partnerships with industry and government through field based research, data analysis, and resource characterization. Professor Norman Duke's primary interests lie in applying metallogenic theory to mineral exploration. The main focus of his work has been in conducting regional metallogenic analysis, which requires placing ore forming processes within regional structural/stratigraphic frameworks based on field relationships. Professor Duke and his students have conducted field studies in diverse areas including the Archean Superior and Slave cratons, the Proterozoic Southern, Churchill, Bear and Grenville provinces, and the Phanerozoic Appalachian and Cordilleran orogens. Much of this field work has been conducted in collaboration with industry. With a particular focus on exhalative basemetal ores in rift settings and precious metal concentration within domains of post orogenic collapse, recent projects have examined the metallogeny of a range of iron sulfide, iron oxide and gold mineralized deposits in the North West Territories, Nunavut, and northern Ontario. Professor Gerhard Pratt has been actively researching new methods in seismic wave modeling and imaging. 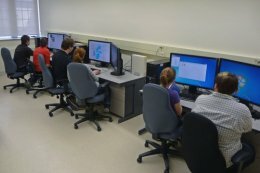 He and his students have developed a number of innovations: A key development was the implementation of frequency-domain techniques that enable large scale forward and inverse modeling of exploration seismic data through numerical simulation of the full wave equation. The full waveform tomographic technique takes advantage of the full information content of the seismic waveform, making it possible to image complex geological structures at resolutions that are unattainable using conventional traveltime tomographic methods. 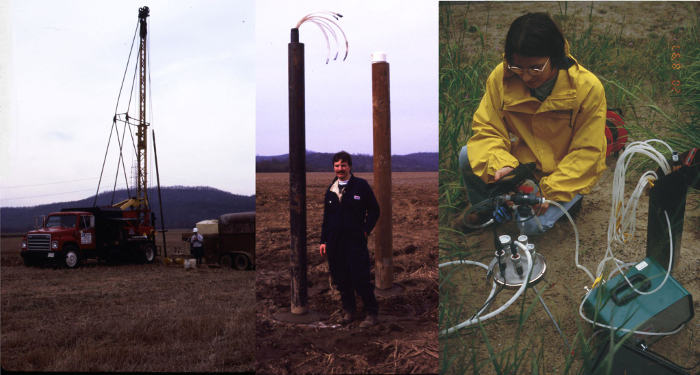 Pratt and his students have been able to use these methods in imaging structures in a wide range of applications, from small scale site investigations of potential failures in earthen levees, to the search for oil and gas in challenging structural settings, to wide angle seismic investigations of the deep crust and upper mantle. Dr. Rob Schincariol’s research area is hydrogeology, which deals with the subsurface movement of water and the various physical and chemical interactions of this water within geological environments. These basinal environments naturally "spill onto" the surface hydrology environments of watersheds, rivers, and lake systems. Hydrogeology is by nature an interdisciplinary field since it applies principles of fluid physics, mathematics, chemistry, biogeochemistry and engineering within a geological environment. Specifically, his research focuses on (1) the physical and chemical phenomena associated with the subsurface transport of contaminants, (2) subsurface heat transport, (3) permafrost hydrogeology, and (4) watershed hydrology. His expertise lies in the area of contaminant hydrogeology, low-temperature geothermal energy, permafrost hydrogeology, and physical hydrology. Dr. Burns Cheadle's research interests involve several interconnected themes in petroleum geology, with a particular focus on the petroleum resource potential of shale-dominated deposits. 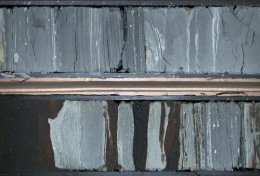 The characterization of such deposits requires integration of high-resolution sequence stratigraphy with organic geochemistry and petrophysical reservoir characterization techniques. Addressing such questions as the relative contribution of tectonic, glacioeustatic, and palaeoclimatic driving forces on organic productivity and preservation, the research seeks to define shales in the context of petroleum systems. Dr. Linnen's research focuses on the behaviour of metals in magmatic-hydrothermal systems. His approach is to combine field and experimental studies in order to identify the mechanisms that are important for concentrating metals and controlling mineralization, then quantify these processes in order to develop ore deposit models.